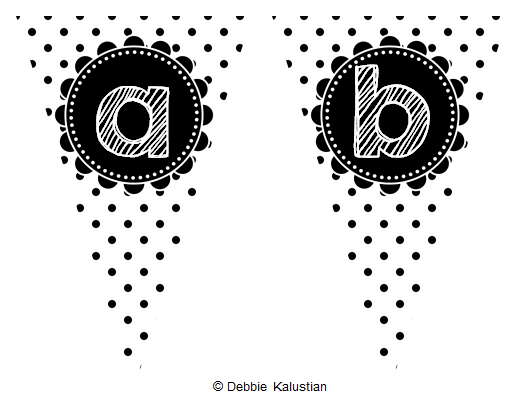 debbie kay designs: New Pennant Sets!! If you're like me, you're dreaming of what your classroom décor and setup will be like for back to school. Are you getting ready yet? Pinning ideas? 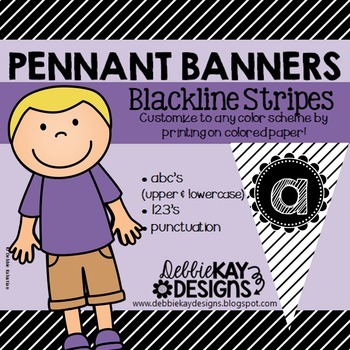 If you are, you know that pennants are a fun way to top your bulletin boards and this year I've designed some new pennant sets I know you will love as much as I do! 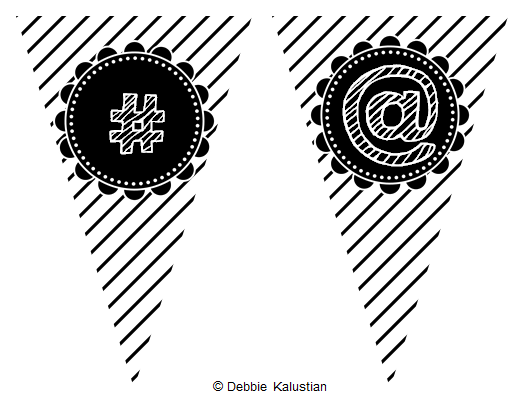 Introducing my Blackline Pennant Sets! Blackline sets are designed in black & white so that you can print them out onto any color paper or card stock you desire. Now you can print onto multiple color papers to create a variety of colors, or match your classroom décor or theme! 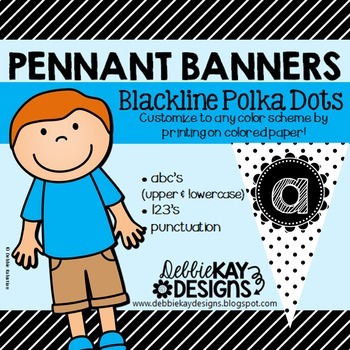 Blackline Pennants are now available in Stripes and Polka Dots. They include letters A-Z and a-z (upper & lower case), numbers 0-9, and 8 symbols (exclamation mark, question mark, period, apostrophe, ampersand, hyphen, hashtag, and @. 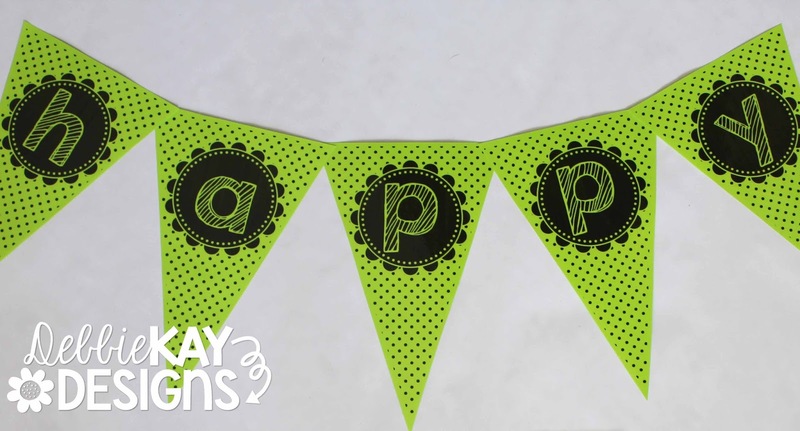 Have fun creating customized banners for your classroom! I even use banners for my home décor during the holidays! Click on the links below to check out the product previews. 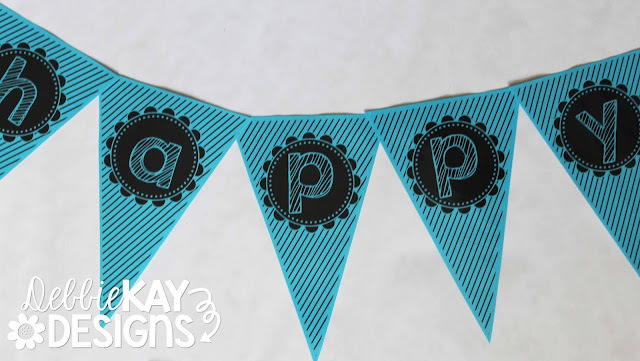 To view all my other Pennant Sets, click here.